Do you ever reflect on the person that you once were and confusingly scratch your head? “What was I thinking?” you may ponder to yourself, but we all know we can’t go back in time. What if we could, though? What if we could hop in our time machine that we just purchased at Target (I love that place) and give our past self a tiny nugget of wisdom. For me, I could have taken myself to a really long lunch and laid out thousands of “truths” that would have proven handy. BUT, as the famous female scholar from YouTube once said, “ain’t nobody got time for that!”. Regardless, as I was thinking of this concept, a few things came to mind. I wish I could visit my past self and tell him a few things that I hope he would remember (you would think that meeting the future you…in all his hairless glory would be memorable to say the least). 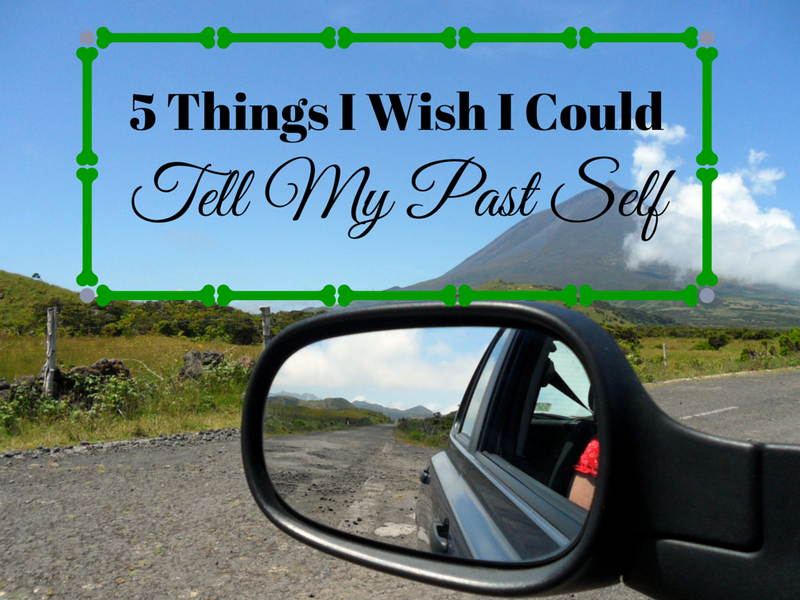 Here are 5 things I wish I could tell my past self. 1. Give more– Here is the first thing you need to know. I am not going to spoil the surprise for you, but when you get older you are going to see the miracle of God’s provision so many times that it will amaze you. God doesn’t give you things because you give, but blessing is a natural byproduct of generosity. The math with never add up on your earthly calculator, but I am telling you…giving will bring joy. 2. Being cool doesn’t matter– It’s true. Those people that you think are so cool and “popular” will some day work for a call center or have a record of misdemeanors. Don’t worry though…you will never be the cool type, so you are safe. I can also tell you that no matter how “cool” you are you are being watched and you can decide now whether or not God will have an influence on your behavior. Drop the need to impress…it is a waste of time and energy. 3. When you find “the one”– Ok…I really don’t want to give away the surprise, but I promise she is out there. You will have kids too, and they will be great. Look for the girl of your dreams in the fall of your junior year of high school. You will know…trust me. Oh…and treat her like a queen. All I can tell you is that she will be royalty and worth every ounce of energy you have…AND I know your hormones are wondering this so I will just put them at ease. She is a babe. 4. Go all in– There will be many times in your future in which you will question God and His plan. You will be glad that you stuck with His will. Go all in. Don’t give half or even a small part of yourself to your call. He will bless you and your family if you do so. Obviously your family will be your first ministry, and being a father will be your most rewarding pastorate… Don’t give up. 5. Stop worrying– You are such a wimp when it comes to worrying about your future. Stop it. I can be that blunt with you because I am you. You will give countless hours to the artful craft of concern when, in actuality, it will earn you nothing. So, when you feel an anxiety episode coming on…remember that the one who created the universe can handle your puny little problems. I know that sounds harsh, but I have skin in the game here pal. All in all, you are doing all right kid. Keep on desiring to draw close to God and you will never regret it. There are going to be really tough times, but make sure that your suffering is never wasted or lost in the sea of bitterness. Don’t forget to kiss your wife and kids every day too. They need you. Good luck! Oh…and put down that doughnut please.